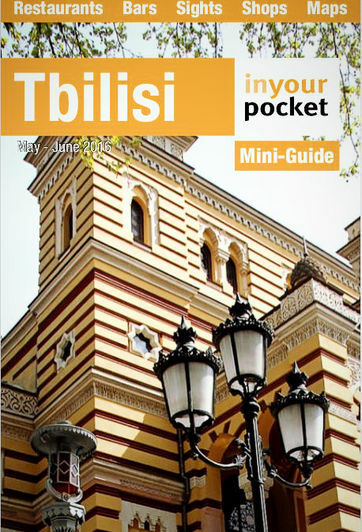 A variety of cuisine usual for any European capital is presented at Tbilisi dining scene. Whatever you prefer you MUST try Georgian. If you don’t know what to choose from so unusual list of dished, start with khinkali. For further cuisine research use our food decoding tips. Prices we list in brackets denote either average bill per person if there is one number or e the cost of the cheapest and most expensive main course on the menu. And once again - check our list for non-smoking symbol if you can’t stand smoke, as most of the venues don’t have any non-smoking places. And do remember that in most 10-15% will be included in the bill as service charge. Enjoy your meal!